China’s economy has shifted from a high-speed growth stage to a high-quality development stage. Currently, China’s GDP grows steadily, and the new drivers give great support to the economy development. However, the global economy is facing challenges, influenced by the trade protectionism, inflationary pressure, currency contraction, Sino-U.S. trade war, etc. In 2018, China’s overall butanone prices went down after surged in 2017. Influenced by the Sino-U.S. trade war, the import volume of butanone and some downstream products declined. Meanwhile, China’s butanone export volume increased, due to the low China-origin butanone prices and RMB depreciation. Therefore, China’s butanone supply pressure greatly alleviated. 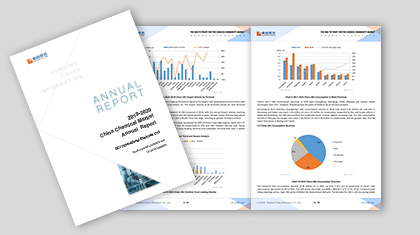 Based on the original data monitored by SCI, the report will make a full and detailed review for China’s butanone market in line with those authentic data from National Bureau of Statistics of the People’s Republic of China, General Administration of Customs, P.R. China, NDRC and the industry associations. Besides, this report includes the comprehensive analysis of the butanone market in 2018 and the forecast of the butanone market. Ultimately, the report will provide valuable guidance for market participants. 1 To analyze China’s butanone supply pattern. 2 To analyze China’s butanone demand pattern. 3 To analyze the price change drivers and evaluate the profit of butanone industrial chain.